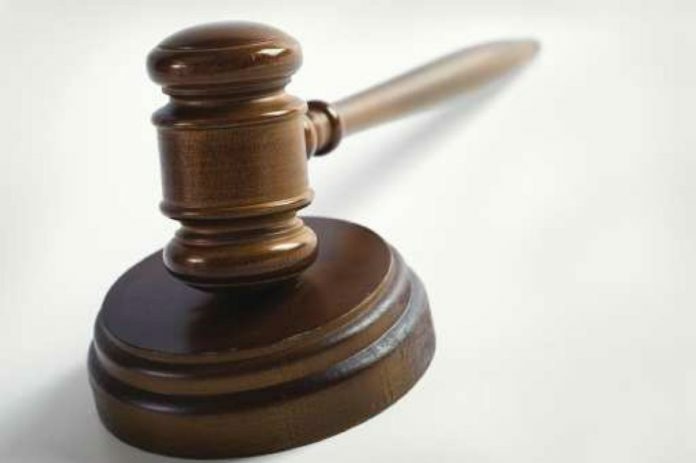 McALLEN — A federal judge Friday sentenced a San Angelo man to time served in connection with a smuggling attempt near Escobares, according to court records. Priciliano Martinez Jr., who had been in custody since his arrest last summer, will remain on supervised release for three years as part of his sentence and will be confined to his home for the first two months of his release, according to court notes. Martinez, 39, was arrested in August 2017 after U.S. Border Patrol agents witnessed his attempt to smuggle into the country three undocumented immigrants near the Rio Grande, according to the criminal complaint against Martinez. “On August 25, 2017, a border patrol agent patrolling the Rio Grande River near Escobares, Texas, observed three subjects on a raft crossing the river from Mexico. The agent relayed this information via his service radio and proceeded to the area where the raft was going to make landfall,” the complaint states. The trio, later determined to be from Brazil, Honduras and a third unidentified country, exited the raft in an area notorious for human smuggling, known as “Eagle Street Trail,” and made their way toward a green Ford Expedition. “The agent proceeded to follow the Expedition in an attempt to take a closer look inside and run the vehicle’s registration. The agent observed the Expedition make several turns before coming to a stop and two subjects bailing out,” the record states. After a third person jumped out of the vehicle, the agent pursued the vehicle and tried to give verbal commands for the vehicle to stop, ultimately breaking the vehicle’s back window and getting the driver, later identified as Martinez, to stop. Martinez refused to speak to agents but the undocumented immigrants who had attempted to bail and head back to Mexico were detained and interviewed by agents. One man said he was a Honduran national who had paid nearly $3,000 to be smuggled into the country. He identified Martinez as the driver of the vehicle, the complaint states. The second person interviewed by agents was an undocumented man from Brazil, who also identified Martinez as the driver, and said his aunt had made an arrangement with smugglers to pay $20,000 once he reached his final destination, the complaint states. Martinez was facing between six and 12 months prison time in connection with the smuggling attempt.